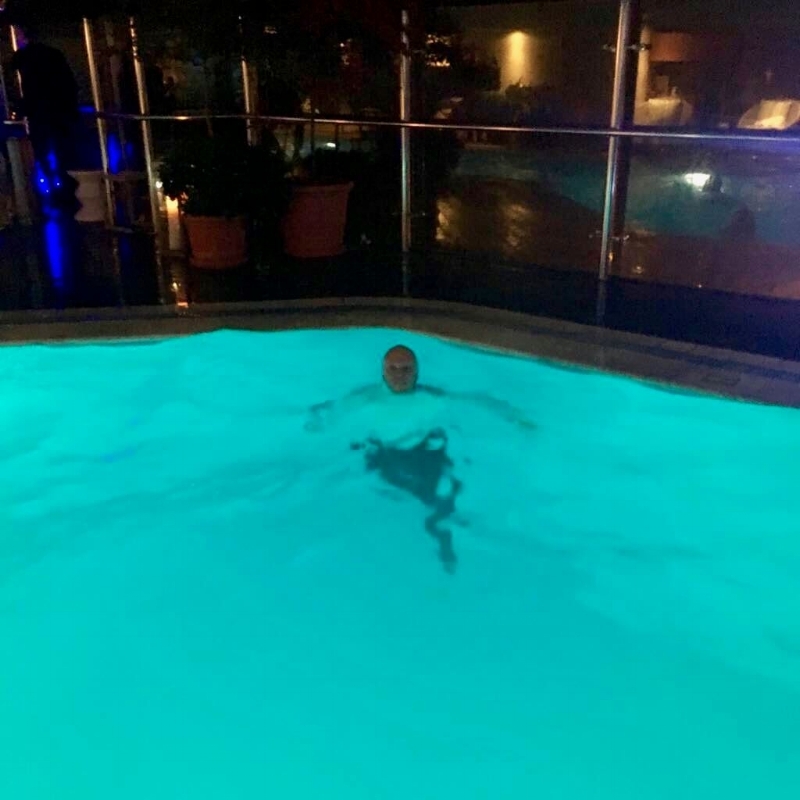 Olympic Bids are like icebergs, there are the people you "see" above the water, but below there are many more people who are working hard making things happen seamlessly. You may not see them onstage, or at an Olympic function or on the "travel team" - but they are just as crucial to the success of a bid as the stars onstage. One of the bedrocks of the LA 2028 bid was Carla Garcia. Carla served many roles for the bid, including Executive Assistant to Gene, and the administrative manager for the office. I met Carla on her first day on the job, when she, Casey, Patricia and I all flew to Colorado Springs for Casey's first speech to the USOC Assembly in 2015. I'm glad she stayed! She added the perfect combination of glamor and competence to our little team! LA 2028 had a deep bench of awesome people. Two more who deserve shout outs are Rochelle and Alexa. Rochelle Farnum was a key member of our marketing team. We always could count on Rochelle (thankfully) to give us the perspective of the "younger demo" in our marketing planning - and it was always helpful. Alexa Carrington was a true utility player on the team. She manned the front desk but also worked on assignments with virtually every functional group. When I think of a sunny, southern Californian smile and attitude I always think of Alexa - she made everyone in the office feel, well, happy. One dude who was hard to get a photo of was Lenny Abbey, our Director of National Olympic and Paralympic Committees Relations and Operations. This is the only photo I could find because he was never in the country! 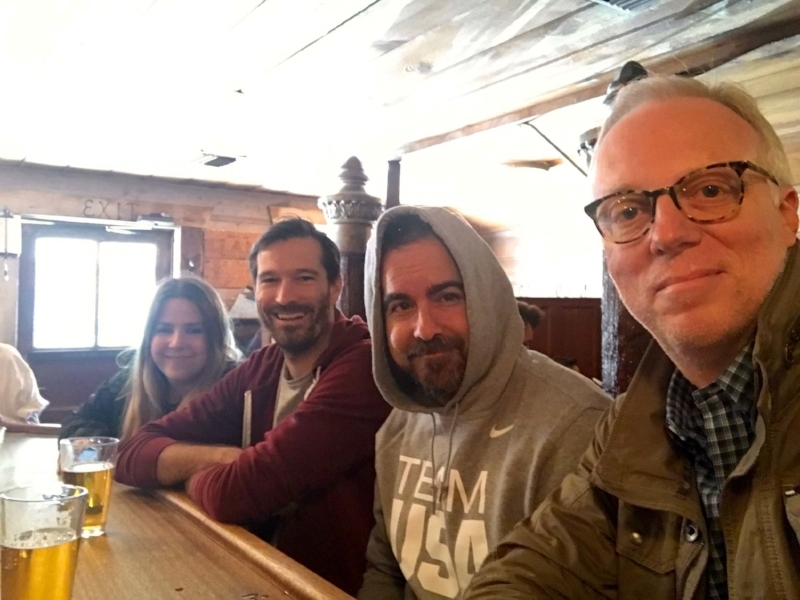 Lenny worked on five summer and winter Games, and his role was to "refine LA 2024’s plans for optimizing the Games experience for National Olympic Committees (NOCs), National Paralympic Committees (NPC) and their teams." Lenny was our "Star Wars Bar" guy, meaning he could fit in anywhere. He was born in Sudan and lived and worked in 10 different countries in Africa, the Americas, Asia, and Europe. And finally, the international communications firm, Weber Shandwick joined in LA 2024 on March 1, led by my freind Svetlana Picou and her excellent team. 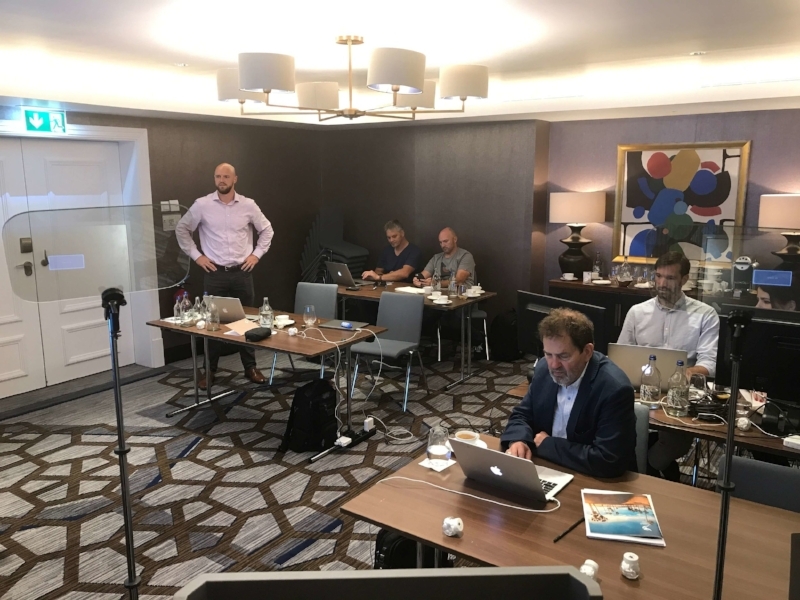 As 2017 bowled along, we began prepping for what would be the most important presentation for the bid: The Technical Presentation to the IOC and International Federations in Lausanne, in July. Our saying was "Lausanne is the new Lima." The Bids are given "guidelines" from the IOC for the specific types of data and information expected in the presentation, and it's usually heavy on technical details. Most bids pay lip service to this guidance because frankly, it has little to do with a winning story and strategy. 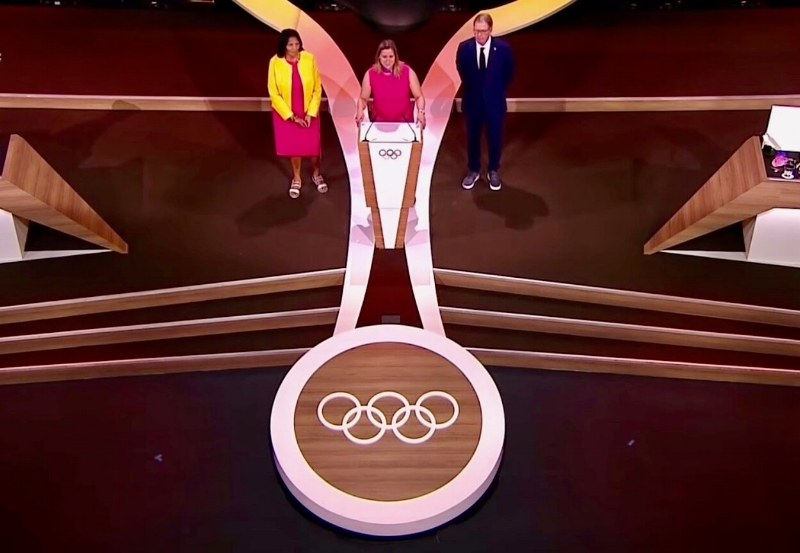 For the 2024 Technical Presentation, both bids realized they needed to go with their "A" game because at that point, we had no idea if there would even be a Final Presentation in Lima - neither did the IOC. The IOC scheduled an “Extraordinary Session” of the IOC to discuss the bid process and 24/28. The four IOC Vice presidents were asked to present their findings and recommendations regarding the dual award and to ask for the members' approval if indeed that is what the vice president’s recommended. The week had many memorable moments for me personally and for the bid because we really were watching history being made. A word about yet another USA Olympic legend who was integral to our bid, Mr. Michael Johnson (yes, he of the Golden Shoes from the Atlanta 1996 Games). Michael worked tirelessly for us behind the scenes with the Olympic Family. He's polished, well-spoken, knowledgeable, approachable, witty, and well, he's Michael Johnson. Olympic cocktail parties are interesting. Often, the person to whom you are talking is simultaneously scanning the room for someone more important than you. Long ago, I learned to not take it personally, in fact, it's rather entertaining to watch. It goes like this: "Ah, my friend (when they don't know your name)" "When did you arrive?" "Where are you staying?" When do you leave?" Then, boom - off to something or someone shinier. 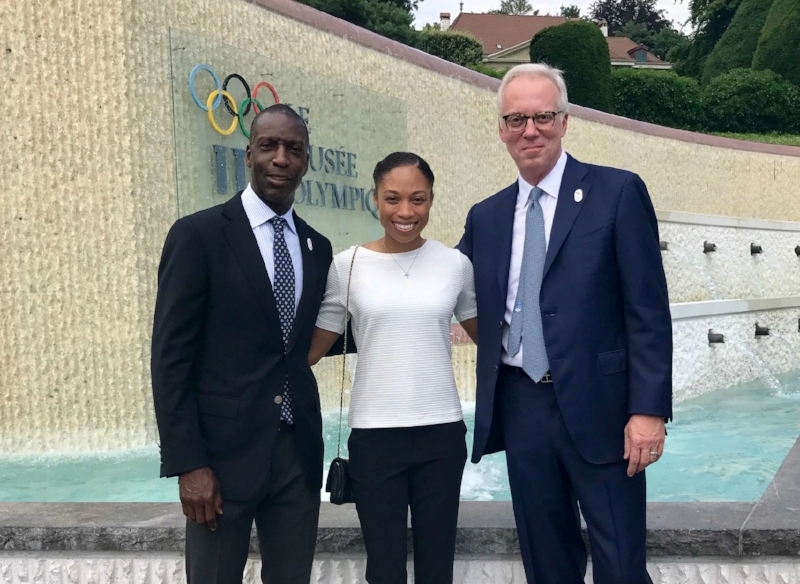 Try walking into an Olympic gathering with Michael Johnson and Allyson Felix. It's electric and instantaneous how quickly heads turn, and bodies gravitate to these two. Michael and Allyson are Olympic royalty in every way, and we were so honored, lucky, and humbled to have them on our team. The Lausanne 45-minute presentation (which began with the 2016 Summer Games race) is ostensibly focused on the technical components of each bid. It was created because IOC members needed more context given they were not allowed to visit the Bid Cities. Anita began this presentation to the membership because she is the most senior US IOC member and one of the longest-serving IOC members in the Movement. I remember completely re-writing her remarks (with her) on the day before the presentation. Sometimes it's like that, speakers change their minds at the last minute. And it's fine - they need to be comfortable with what they're going to say. IOC members speaking to IOC members tend to be more intensely interested in every word. It makes sense. Her delivery was warm, and her love of the Games and the Movement genuine and heartfelt. She reminded the membership that they could trust LA, because “…we’ve been partners before, and to be frank, that relationship worked out very well – for both of us.” It was a light moment appreciated by the audience. She then referenced people in LA who attended the 1984 Games as children by introducing one of them, Casey Wasserman. We felt like we didn't have anything to prove technically about our bid; the IOC EC report already made a case for us - and for Paris, too. So, we decided to stay true to our brand and keep focused on the attributes that LA offered uniquely - namely, a focus on the future beyond 2024. We wanted to also focus on optimism and partnership - not brinksmanship. Our goal was to demonstrate the concept of true partnership. Casey spoke of LA creating "the stories that the world loves to enjoy and the technology it uses to share them." We also wanted to strike up a new conversation about the word innovation. Up to that point in the campaign, the word "innovation" was overused - by everyone; it was about as unique as air. We wanted to change the conversation about innovation because it was something we did feel that we owned as a Bid. 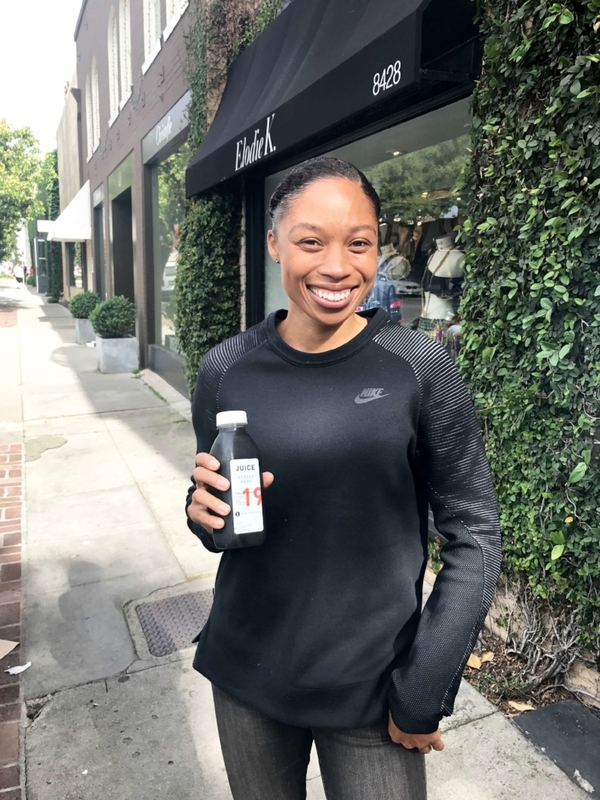 Casey said “innovation is the key to survival, and the Olympic Movement is no different…but when we talk about innovation, we're not talking about flying cars, we’re talking about our mindset.” We believed that the IOC's EC report reflected this, but subtly. With a room full of almost 100 IOC members from all over the world with different perspectives, you cannot depend on being subtle. Larry was up next and generated a collective intake of breath in the room when he said, “…the Olympic Games, as we all know, are not and have never been immune to politics.” Given the politics of the United States at that moment, many wondered where he was going with this narrative. Rarely has an IOC member publically shared personal feelings about the challenges all Members must face regarding geopolitics and the Games. It was especially challenging for an American IOC member in a Bid presentation with - and let me put this as mildly as possible - as controversial a President of the United States as we had at that moment. After the November 2016 US presidential election, I felt like our Bid was trying to thread a needle in a hurricane - at night - with gloves on. It was a powerful moment, and the members watched and listened intently. Larry then talked about the USA’s commitment to the Olympic Movement in terms that were bold, but we felt needed. For example, did you know that at the Rio Games, over 1,000 Olympians from 107 countries trained at universities in the United States? They won 58 medals in 18 sports. Then the kicker, turning a controversial US political tagline on its head. He said, “Dear colleagues, that isn’t putting America first, that’s putting the Movement first." Many members smiled, a few grimaced, and some looked genuinely confused. But, it had to be said. Like I said, Larry got the pointy bits, and he delivered. Janet was up next and was a charming and buoyant as always. Janet is a fierce competitor, and of all the speakers, she probably needed the least amount of practice. Yet, Janet was always the first speaker to ask for additional practice time - every time. That’s why she’s the champion she is. Janet painted a picture of a city committed to and dedicated to sport. 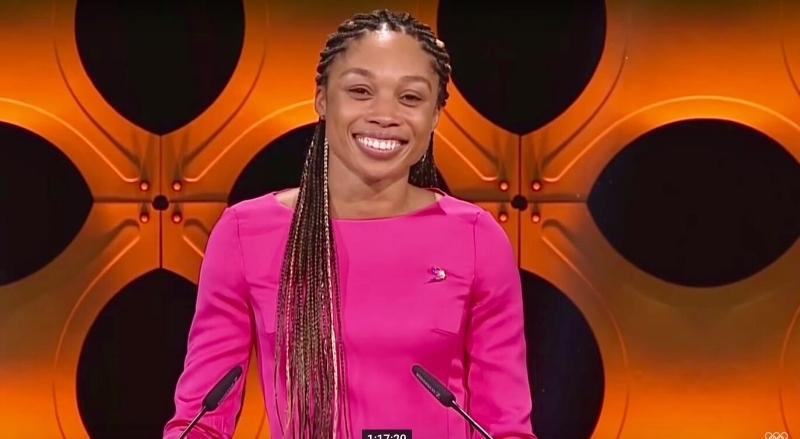 She reminded the room that over 1,000 Olympians and Paralympians choose to live and to train in LA, every day (I found that fact astonishing when I learned it). 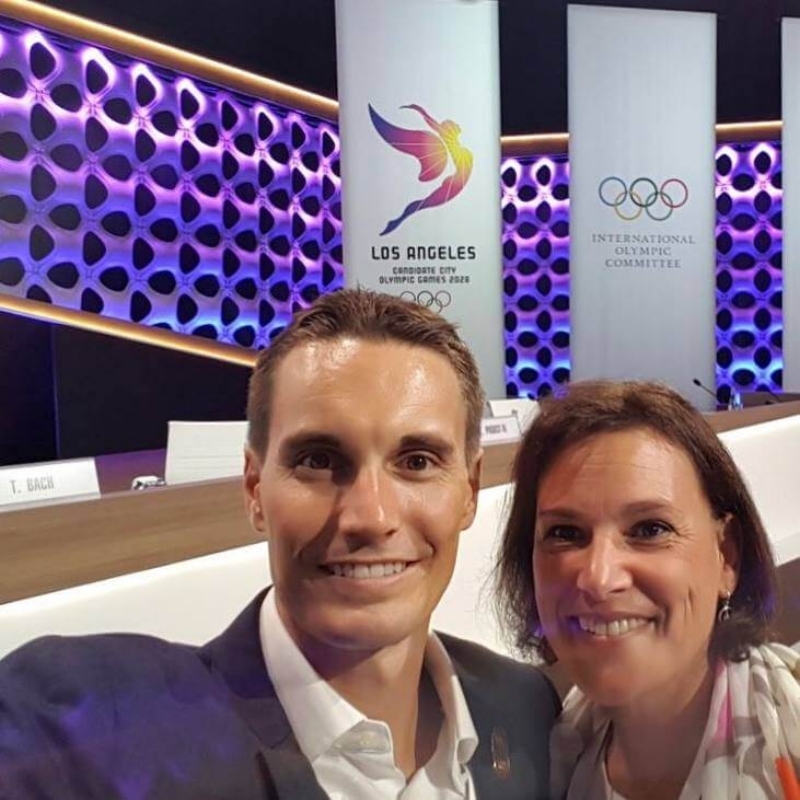 Janet oversaw LA 2028’s outreach effort to over 4,000 Olympians and Paralympians from around the world, obtaining their input into our Games Concept. “We could have built a new Olympic Village – but we didn’t. We could have built a new Media Village – but we didn’t. We could have been an array of other new venues – but we didn’t. Gene was up next, and as CEO, he had the unenviable task of speaking about governance, budget and our transition plan to an OCOG. These were not exactly the most scintillating topics, yet profoundly important as recent troubled Games have shown. Gene noted he’d asked his fellow Goldman Sachs colleague, Paul Deighton, the former CEO of London 2012, for some advice. He said Paul’s advice was simple: “take care of the athletes first, then make sure you take in more money than you spend...” It got a chuckle from the audience; really, a budget reference got a laugh. You just never know. Gene also had another crucial point to clarify for the audience. LA 2024, like all US Bids before it and US Games as well, was funded by a private enterprise model. The US doesn't have a cabinet-level sports minister. There is no national budget or funding mechanism for sports. Our system of sport is privately funded. For many in the audience, this “private model” concept could be perceived as risky – what do you mean the government doesn’t fund your Bid or your Games? A government-funded or supported model is one that many nations represented in the room were used to. Our US model is an outlier. Some of our Bid’s detractors were working being the scenes to portray our model as “risky,” and no doubt, our current political climate back home helped further that view. Gene pointed out that our model made LA 2024 independent from government influence, and this would apply to our Games as well. As an aside, one only need to look at Tokyo 2020 to understand how government interference with an OCOG has its own set of challenges. Doug Arnot was up next with the equally unenviable topics of transportation, accommodations, and security. Doug is an excellent speaker. He is knowledgeable. He is animated. He understands the ebb and the flow of the content, and he has a great smile. But most of all, Doug has a voice that sounds like the voice of God. This is a speech writer’s dream. It means that even if half the audience isn't listening to what he is saying, they are listening to how he is saying it. But Doug’s content was as good as his delivery. Angela was up next to give an overview of LA 2028’s incredible site for the Olympic Village – the campus of UCLA. Angela was Chair of the IOC’s Athlete’s Commission, and she had been a member of several IOC Evaluation Commissions. I’ve known Angela a long time, and she takes her IOC duties and roles very seriously. Angela stressed that when assessing a Bid’s plans, she focuses on the plan for the Village. She said, “…the Village is one of the most important aspects because it is the athletes’ home…and it is often one of the most challenging aspects of every new OCOG (because it has to be built) … well, we have some good news for you – LA 2024 offers you an existing Village … and it’s amazing”. And it is. Next up was Candace Cable, Vice Chair of the bid and Director of Paralympic and Disability Engagement for LA 2024. Candace has won multiple medals in both the summer and winter editions of the Paralympic Games, and she competed in LA 1984. Candace stressed that LA 2024’s goal for the Paralympic Games was equality of experience with the Olympic Games. She stressed the input by Paralympians into our plan and how the Paralympics and Olympics would be planned and implemented as a single organizational effort. Candace did a great job of delivering her remarks intimately in a large space and room. News of Allyson’s remarks in Doha almost a year earlier had spread, and everyone in the room was waiting as she approached the podium. IOC members meet, see and hear Olympians all the time, it’s part of their jobs. But Allyson, a six-time Olympic champion, and eleven-time world champion, always got a round of sincere, impressive applause from the room. She deserved it. We must accept finite disappointment…but never lose infinite hope. She continued: “All I can do is tell you about the America that I know and love. First, America isn’t perfect, no country is…but we always strive to be better tomorrow than we were yesterday. I still get goosebumps watching her in that presentation. It was simple and brutally honest about our country. Just what the audience needed to hear instead of jingoism, boasts of exceptionalism and blind confidence. Bringing it home was Mayor Garcetti. To say the man knows how to give a speech is like saying Frank Sinatra knew how to sing pretty well. The guy delivers; every time. The challenge I thought I would have with Mayor Garcetti was a simple one that I have with every Bid City mayor: the audience and the message are completely different from a local political campaign. But, it was never a challenge at all - true to form, Mayor Garcetti understood the nuances implicitly and never looked back. After the presentations, the IOC vice presidents made their own presentation to the room about the proposed dual award of 2024 and 2028. I think everyone knew what the results would be, but for long-time students of the IOC like me and many others, it was interesting to watch it all unfold, real time. 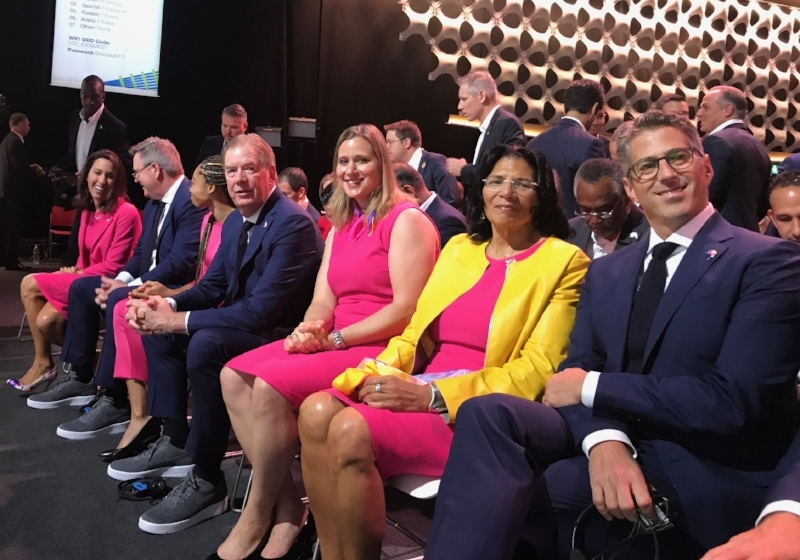 There were a few questions to President Bach and the VPs, but it was clear the IOC members would go along with the proposal – and they did, unanimously with a show of hands. Now, the question as to which city would host 2024 and which would host 2028 boiled down to the negotiation of a “tripartite agreement” between the IOC, and the LA 2024 and Paris 2024 Candidature Committees. It didn’t take long. On 31 July, both cities and the IOC reached an agreement where Paris would host 2024, and Los Angeles 2028. The only piece left to complete the 24/28 puzzle was a “ratification” by the IOC membership at the IOC Session in Lima, Peru in September. For Lima, it was decided that each city would give a twenty-minute presentation to recap their Candidatures. Normally, this “Final Presentation” is forty-five minutes in length, and represents the emotional climax of the two-year campaign. These presentations are filled with the Bid’s key messages, soaring Olympic rhetoric, and punches and counter punches sometimes disguised by humor, humility, or charm; and, finally, the emotional “ask” for the Games. The 2024/2028 agreement changed the typical Final Presentation dynamic. It was no longer a campaign, depending on a secret vote and a sealed envelope, which would send a planeload of people home either in ecstasy or in despair. That aspect evaporated. So, we had to recalibrate what we were going to say and how we were going to say it. Out went the well-honed, sharp-elbowed messages about our key differentiators. Out went the lyrical, soaring rhetoric about looking forward to the future, not back at the last one hundred years. And out went the proactive positioning about the current state of American political affairs and its impact on our Bid. Instead, we focused on gratitude, partnership with Paris and the Movement, and how LA 2028 would help create New Games for a New Era. Oh, and there were two more crucial issues to decide: tie or no tie, and sneakers or dress shoes? 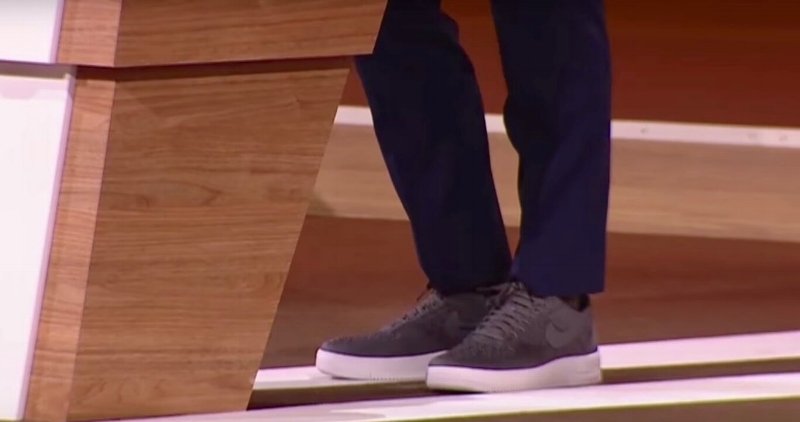 Casey advocated for sneakers in previous presentations, and he finally got his wish in Lima. As to ties, we decided at the very last minute - and I mean in the very last Green Room minute - to go with ties for the men. It worked out fine. Our presentation opened with a beautiful film of LA by one of the Mayor’s favorite filmmakers, Colin Rich. Next, our three IOC members, Anita, Larry, and Angela opened with a brief welcome to their fellow members. Each carried a distinct yet unified message of friendship and gratitude, and they did a wonderful job of hitting the right balance of humility and pride. Janet was next with a poignant note about her father, and how this campaign would be his final opportunity to see Janet in her “final race,” and how she wanted to share one more victory with him. I remember showing her the first draft. I was a bit nervous I’d included something so personal in her speech. She sat in my LA 2028 office and read it with eyes full of tears, which of course, made me tear up as well. I told her I’d be happy to take it out and try something else and she said, “no, this is really something I’d like to say…especially for my Dad…I just hope I can get through it.” We made a vow not to look at each other in rehearsals or in the actual presentation – because I knew we’d both react emotionally. In the presentation, I watched her work up to this moment in the speech. I saw the grit and the determination that made Janet Evans the Olympic legend that she is. I knew she was struggling a little bit, but she took a big breath, smiled that great smile of hers, and got through the part about her father beautifully. She touched many in the audience, including my friend and former Madrid 2020 client, Juan Antonio Samaranch. After the presentation, he grabbed me and said, “Terrence, your presentations always make me cry…Janet touched my heart.” I said, “then you should tell her, my friend, it was all her up there, not me.” I hope that he found Janet that afternoon, and told her. Casey really “grew” as a public speaker over the course of the campaign, and he was good, to begin with. Given his business, he delivers dozens of speeches and prepared remarks year around. He is at his best, however, unscripted; and he is one of the absolute best interviewees I’ve ever seen; genuinely gifted. Olympic presentations are different. They tend to be highly scripted because it is a story told through several speakers, each with different yet complementary remarks, all supported by background slides and films. This can make it difficult for someone who is more accustomed to a free-wheeling speaking style. I was very proud of Casey’s performances in all four of LA 2028’s official presentations. In my opinion (both personal and professional) he generated the perfect mix of gravitas, humility, chutzpah ( look it up), and California charm that the bid needed from its young Chairman. Casey began by thanking Larry and Scott for their incredible work over the past seven or so years, re-engineering the image and reputation of the US within the Olympic Movement. 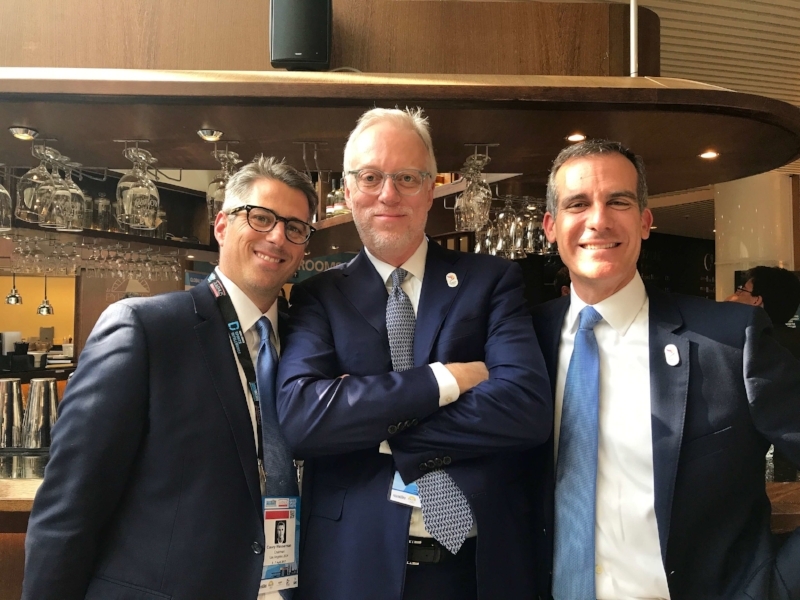 LA 2024 would not have been standing on that stage without the efforts of these two gentlemen – period. And, neither Larry or Scott would have been on that stage without LA – which Scott would acknowledge later in his remarks. Watching the Final Presentation of every bid I’ve worked on, I’m very focused but slightly melancholy as well. I know it’s over. I know that bluntly, all the emotion and intensity of two years has reached its final, beautifully poignant moments. As I sat there watching Casey give his final speech, my mind flashed back to the first time we met in his office. It seemed like yesterday. When you begin a Bid, it feels as if it will go on forever, yet when it’s over, it is amazing how quickly it flew by. You realize there is a good chance you will never see any of these people again. And you are aware that they are not aware, they cannot be, of any of this. It's a little heartbreaking, to be honest. I looked at the LA 2024 team sitting around me. These were the people with whom I’ve traveled the world for two years. We shared stories together, we celebrated birthdays, holidays and meals together, and we laughed (a lot) and even shed a few tears together. They had no idea, really, what they’d just accomplished, but it would hit them soon enough. It’s always a touching moment for every bid, but LA 2024 was different for me because for the first time I was part of a team of my own citizens – I was no longer an outsider. I felt part of them in a way I'd never felt part of any bid. I honestly felt like we were a family - maybe The Addams Family at times (again, look it up) but a family nonetheless. Families love each other, regardless. When President Bach held up the Paris 2024 and LA 2028 envelopes, I turned around and trained my phone’s video camera on our team and its reaction. They looked like kids on Christmas morning. I still watch it from time to time. Scott Blackmun followed Casey and our technical film. As long-time CEO of the USOC, Scott was very well known to the audience in the room. I’d never written for Scott, so this was new to both of us. Often, I have to imagine what someone would say when I write their first draft, but, I’d known Scott a long time, so it was a bit easier. Scott is a quiet and humble person who is extraordinarily capable but doesn’t wear it on his sleeve. I wanted to reinforce that in his remarks. Scott graciously began by saying that the quality of the LA bid was the result of two people: Casey and the Mayor. 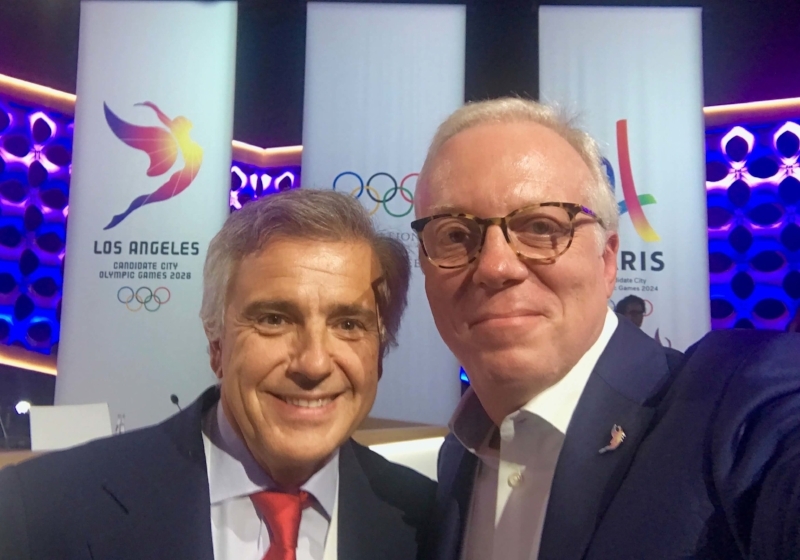 He said, “…these two gentlemen never gave up on LA’s Olympic dreams – and thank goodness they didn’t”; a not-so-veiled reference to the LA team saying “yes” after Boston said “no.” I also felt it was important for Scott to reference that the USOC was one of many, not THE one of many. His natural humility was the perfect touch. Allyson was next up, she brought her magic to Lima and didn’t disappoint. Echoing Casey’s remarks, Allyson said that the Olympic Movement teaches us about respect for others. She pointed out that Olympians are natural diplomats because they have to be. She also got a laugh from the audience when she spoke about the need for diplomacy. She said, " So, if anyone from the UN is watching this today, you might consider Olympians as future diplomats because if you can live peacefully, side by side with your fiercest competitors for 17 days in a row, believe me, you can get along with anybody!" She closed on another personal note. She said, “…generally, most Olympians don’t get to spend a lot of time with IOC members…and now that I have, I can describe my experience with all of you in three words – It’s been wonderful.” Then the smile. And the room melted. Now it was time for our closer, Mayor Garcetti, to bring us home – figuratively and literally. I’ve written a lot here about Mayor Garcetti. All I can add is that whatever I wrote for him, his delivery or adaptations always made it better. He is an extraordinary person, and if he chooses to dedicate the rest of his career to public service, everyone, everywhere will benefit from it. Both the Paris 2024 and LA 2028 Final Presentations can be viewed here. When the Almaty 2022 bid campaign was over, the staff sent me a giant card with the lyrics from the soundtrack to the 1967 movie, To Sir, With Love. The movie is about a teacher, played by Sydney Poitier, in a troubled school in East London. He is a tough task-masker, but in the end, the students come to love and appreciate him. They all signed it, even the ones who didn’t speak English. I found it very touching, and it reflected a sweet sentimentality that isn’t universal everywhere in the world. It summarized my Almaty experience, and to some degree, LA as well. Bids are like that. In the beginning, consultant’s roles literally are as teachers. Working with bid committees is an honor for me. It is one of the most rewarding things I’ve ever done. I get adopted, more or less, into a small family of dreamers like myself. Believers. And sometimes, together we achieve something so beautiful and unique that it will impact a city and its people for generations to come. I've had that honor five times in my career, but as I said, LA 2028 was special for a lot of reasons. LA 2028 was a joy to work on. I began working there about a week a month in the initial phase of our contract. 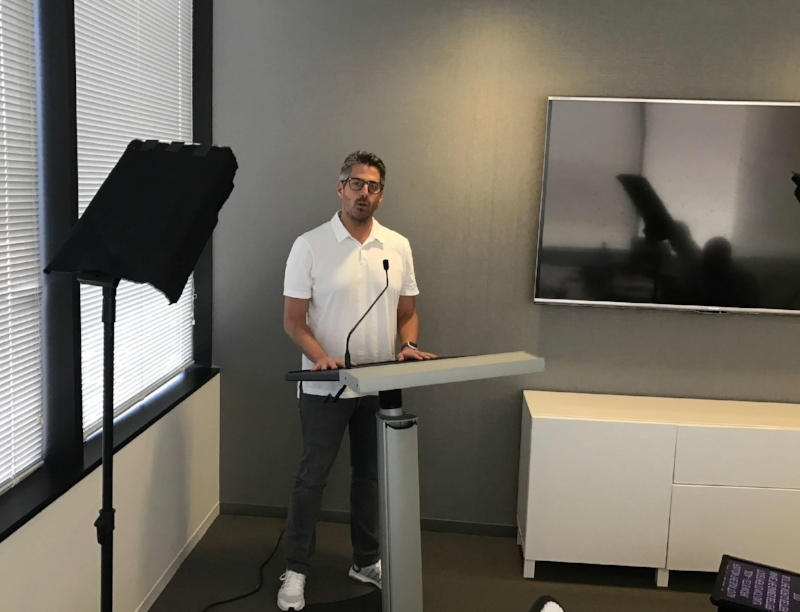 Early on, Casey and Gene asked me to serve as the Bid's Chief Marketing Officer, and to do that justice, I agreed to spend two weeks a month in LA. Gene and Casey eventually asked if I could work full-time in LA for the last almost year of the bid; I couldn't do that, but I did agree to three weeks a month in LA (that took some finessing with my wife, to be honest). The Bid rented an apartment in Westwood for me, and I walked to work and back every day. It was glorious; really it was, all of it. All in all, I'd never spent as much time in one city for a single Bid as I did for LA. And I must be honest, it's a place that's easy to fall in love with. From Malibu to Laguna, and from Santa Monica to Silver Lake, it was a city that I never tired of. I will miss it, every bit of it. So, to my LA 2028 family, thank you from the bottom of my heart, Godspeed, take care, and have fun. You've earned it. And to the IOC and the Olympic Movement, you're in good hands for 2028. A few final memories with some very special people. Jeff, Danny, Matt, TB - Food Truck! Mark, Brock, TB. Brothers, colleagues...it was the best of times. Cosette, TB, Janet - Aarhus dinner search (it ended well). It starts and ends with preparation...winning isn't everything but wanting to is.